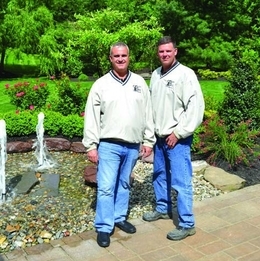 A full-service landscaping and maintenance company, Gill’s has creative designers and experienced professionals who are passionate about giving t heir customers the outdoor living spaces of their dreams, whether that includes lush green lawns, fragrant flowers, water features, stone walkways and patios or all of the above. Gill’s was founded on the cornerstone of customer satisfaction and has always gone the extra mile in listening to its clients’ wants and needs and delivering the personal attention they deserve. That is why it is so satisfying f or t he company to receive positive feedback after a job well done. “Gill’ s work is flawless! The owner Brian Gill even knocked on my door to introduce himself. He thanked us for the business, which really impressed us. We highly recommend Gill’s Landscaping.” —Cheryl D.
“Gill’s organization is first class, from the proposal to the installations and most importantly [their] service work after the install was outstanding! [Gill’s has] exceeded my expectations! I would recommend [them] to anyone.”—Tim G. “What can you say other than they are simply the best! Their trucks are everywhere, they are always working hard and the end product speaks for itself. [I] love the i r work. It’s a family-owned business and everyone is so nice to work with. I’d recommend them highly. You won’t be disappointed.”— April M.
“I have been a happy customer of Gill’s for five years. We started a master landscape plan and over the years, have done a portion of t hat plan each year. Now that we have completed the big picture, I want to say thank you for five wonderful years dealing with true professionals. 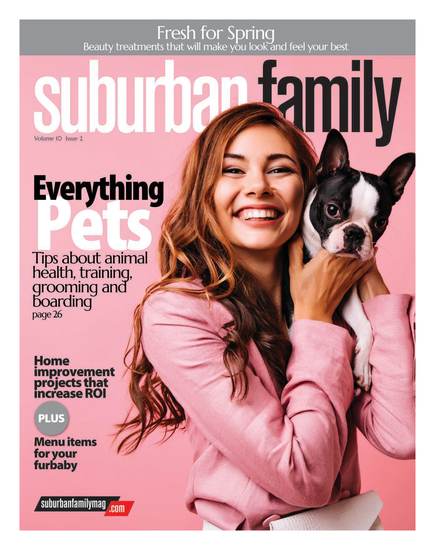 We started with a vision and over five years we have realized my family’s dreamscape.” — Mike C.
Published (and copyrighted) in Suburban Family Magazine, Volume 9, Issue 1 (March 2018).